The greatest week in flat horse racing is here, Royal Ascot. This is a meeting that many racing fans look forward to and perhaps the most intriguing week of racing we have anywhere in the world. If you’re attending, you can check our guide to betting on horse racing here. This is thanks to the international challengers that come across, bringing form from their homeland, going up against horses that we already know well that have been running in the UK. We have classic winners, older horses, potentially smart two-year-olds and plenty more to look forward to at Royal Ascot, there is something for everyone at this meeting. If there is one week of the season where the big yards target their very best horses and where they put 100% into every single detail of the preparation then Royal Ascot is that week. Not only do the very best go up against each other, but you know that everything has been done to get those horses ready for that particular race, and often that results in some fantastic racing. Whether you are looking forward to seeing the young two-year-olds in the hope of witnessing a future star on the track, or you want to see veterans strutting their stuff yet again, you can at Royal Ascot. From sprinters to the gruelling test of the Ascot Gold Cup, you will see it all this week, and witness some truly remarkable performances from both the horses and the jockeys that are on show. Where Can I Watch Royal Ascot on TV? The great news for racing fans is that every single race from the Royal meeting will be available on free-to-air television. Some of the races are on ITV1, while the remainder are on ITV4, but these channels are accessible to everyone, and that means you can sit back and enjoy the full meeting. Normally, every single race is shown on ITV1, but the World Cup coverage means that we are splitting the coverage between ITV1 and ITV4. Where possible, racing will be shown on ITV1, but coverage will move onto ITV4 when the football kicks off or will begin on ITV4 and then move to ITV1 after the game has finished. Check the daily listings when you are placing your bets to make sure you know where to head to watch the racing, this is a more complicated schedule than we have seen before for Royal Ascot. The Queen Anne Stakes takes centre stage on the first day of the meeting and is one of three Group One races on the day. The King Stand Stakes and the St James’s Palace Stakes are the other two, while the Group Two Coventry Stakes will also gain a lot of attention. This is the first big two-year-old race of the week, and one that often throws up a top class two-year-old, one to follow both this season and next. 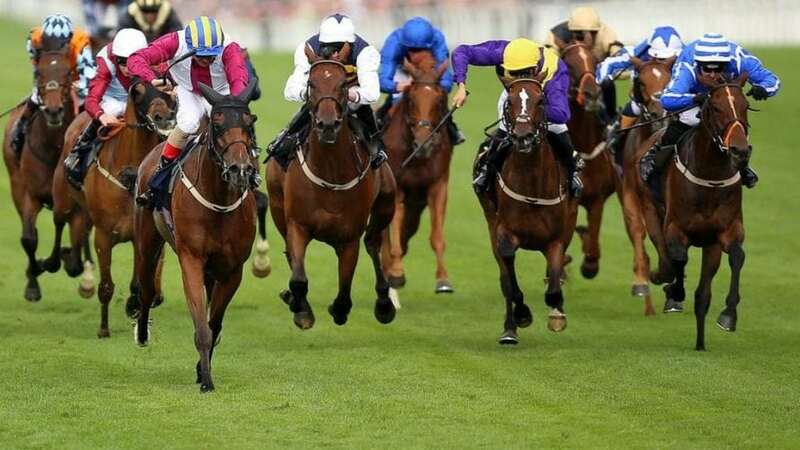 The Ascot Stakes handicap takes place on this day, and it is the first marathon test of the week, taking place over the course and distance of the Ascot Gold Cup. The Prince Of Wales Stakes takes centre stage on Wednesday and this is the only Group One of the day. However, the card is still full of quality, with three Group Two races and a Group Three to support the main event. The Queen Mary opens proceedings on Wednesday and is a place for the flying fillies to shine. This race takes place over the minimum distance of five furlongs, and I for two-year-old fillies, usually throwing up a good one. The Queen’s Vase changed distance last season, dropping to 1m6f from two miles, but it is always an informative race in which you will see some up and coming young stayers who are worth watching in the future. Those who like big handicaps can look forward to the Royal Hunt Cup, a race that is often a tough puzzle to solve and is run over the distance of one mile. Thursday is Ascot Gold Cup day, and all eyes will be on the featured staying event of the week. It takes a special horse to win the Gold Cup, this is a gruelling test and one where horses will be tested to the limit. Two Group Two races, including the Ribblesdale Stakes which is for fillies over 1m4f support the main event and as far as punters go, this day has the toughest ending of any. The day ends with two handicaps for three-year-olds, races full of unexposed horses that could be anything, we usually see big gambles and handicap blots running in these races, a tough end for punters. Two Group One races take centre stage on Friday, the main feature is the Coronation Stakes, while the Commonwealth Cup is a race to watch for up and coming sprinters. The Coronation brings together the best three-year-old milers, and we often see Guineas form in this race, so it is interesting to see if that holds up or if something else comes to the fore and takes the crown. The day begins with the Albany Stakes, another informative two-year-old race that is certainly worth watching in case a star emerges from it. The Sandringham and Duke Of Edinburgh Stakes finish things off on Friday, two tough puzzles to solve. On the final day of the meeting, the Diamond Jubilee Stakes takes centre stage and is the only Group One race of the day. The Group Two Hardwicke is the main supporting race and this is always a fantastic race to watch, putting together older horses over 1m4f. We also have a couple of listed two-year-old races on the day, and the longest race of the British flat season is the final race of the meeting and a great way to end things. The Queen Alexandra Stakes is run over 2m5 ½f and a great test of stamina. We usually see many jump trainers targeting this race, and that often adds another special element for punters to consider when making their selections. Throughout the week we will have many horses that catch the eye, and these are going to be very interesting to punters looking to back the fancied runners. In the feature on Tuesday, Rhododendron is the 3/1 favourite for the Queen Anne Stakes to get Aidan O’Brien off the mark. It could be a good day for O’Brien, who also has Sergei Prokofiev in the Coventry Stakes and he is 5/2 favourite to take that. One clash many will be looking forward to seeing is Battaash vs Lady Aurelia, Battaash currently holds favouritism at 2/1, with the American filly Lady Aurelia at 9/4. Wednesday is all about Cracksman, and he is 8/11 to win the Prince Of Wales Stakes on Wednesday. After only just getting up to win at Epsom last time, all eyes will be on him and a better, impressive performance would be no surprise. On Thursday, Wild Illusion looks for compensation after a disappointing run in the Epsom Oaks and is currently 5/2 favourite to take the Ribblesdale Stakes. On the same day, the feature is the Ascot Gold Cup where Order Of St George is the 15/8 favourite, looking to go one better than last year when he finished second. The Diamond Jubilee is the final Group One of the week, and Harry Angel is 3/1 favourite to take the race. He is a hugely impressive sprinter and came back with a very nice win at York when making his seasonal debut in May. The William Hill two clear offer is a way to gain even more winnings when your horse wins easily. Every race at Royal Ascot with six or more runners will be included in this offer and landing a bonus all depends on how far your horse wins by. If you back a horse that wins by two or more lengths then on top of your winnings you will receive a 15% bonus that is paid as a free bet. With so much racing taking place this week, these free bets are sure to come in handy for you. Ladbrokes will bring their enhanced place terms to Royal Ascot, giving us better each-way terms on two selected races each day. If you like to place each way bets then don’t place any until you have seen the races on offer with Ladbrokes, with more places being paid, this could be the difference between a winner and a loser. Sign up for Ladbrokes here. On selected races each day BoyleSports offer you a free bet if you finish 2nd to the SP favourite, so look out for this at Royal Ascot. These races will not be named until the day but are worth looking out for if you are going against the favourite and want a consolation in place. You can join Boylesports and claim a £25 free bet here.